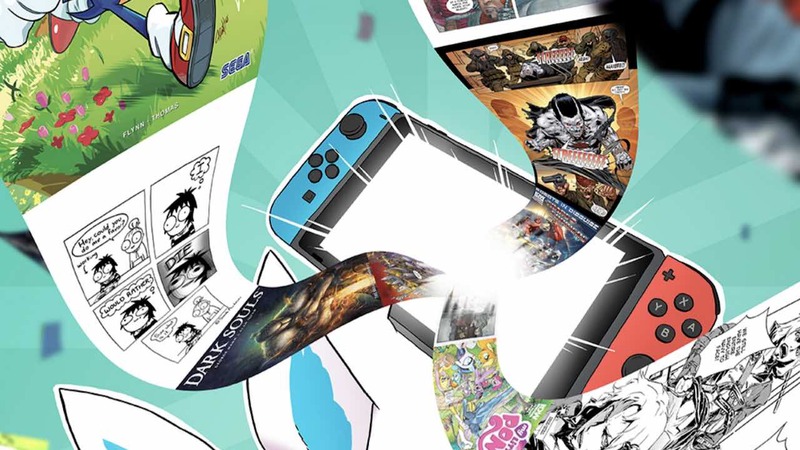 If you have ever wanted to read comic books and graphic novels on Nintendo Switch, then InkyPen, a new monthly subscription-based service, will soon have you covered. You will simply need to download the InkyPen app on the Nintendo eShop, sign up and subscribe to then have the chance to start reading a catalogue that has more than 10,000 titles – with comic books from the United States, European comics and manga. Whether choosing to read at home in TV Mode or on the go in Handheld Mode, you will have access to the whole catalogue rather than needing to buy individual issues. Those that you can look forward to reading come from publishers like IDW, Valiant, Dynamite, les Humanoïdes Associés, Titan and Andrews McMeel, with more to be announced soon. These will include comic series such as Transformers, Judge Dredd, Dungeons and Dragons, The Metabarons and Warhammer, or those based on game franchises like Sonic the Hedgehog, Dark Souls, Dishonored and Assassin’s Creed. The app will also be “webcomic friendly,” adding popular webcomic titles like Girl Genius and The Wormworld Saga. “InkyPen is the best way to read what you want, where you want from the rich world of graphic novels and comic books,” explains InkyPen CEO Ronan Huggard. “We have no intention of selling content piecemeal, there are other places for that. We’re bringing an all-you-can-read model to the international community”. InkyPen will release on the Nintendo eShop for Nintendo Switch in November, priced at €7.99 ($7.99) per month.